Let me preface this with some disclaimers, I do not know any of the 3 Charlies who make up C3 Presents. 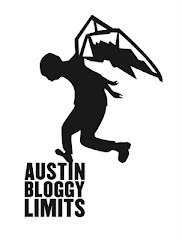 I have no affiliation with Austin City Limits Fest or it's subsidiaries. I'm just a dude who waits tables and writes this little website. So, with all of that said, let's start guessing about the ACL aftershows shall we? If you have been a fan of this site from the beginning, and I know you have, then you might remember that Bloggy is anti-festival. I don't mind if they occur and I'm cool with YOU going but the idea of standing in a field with 10's of thousands of people to watch M.I.A. on a giant screen is not my idea of a good time. For me, it's all about the aftershow. Wouldn't you rather see Manu Chao at Stubb's, as opposed to Zilker? Here we go, Bloggydamus' first and most definitive pick for an ACL Aftershow is one part wish, one part rainbow and one part logic. That's right, it's a three-prong approach. I'm calling the National at Stubb's the night before they play the fest. I would prefer they play the Parish but I'm not going to get picky. I just need to hear High Violet and cry into my Lone Star. This is the part where I had planned to embed a new song but apparently The National are part of the Sony "family" of artists who would rather you buy the video instead of hearing the song on my site. SOOOOOOO, here's one of my favorite older tracks, and actually the first song that turned me onto the National in the first place. Find more Bloggydamus picks after les break. Also, I don't think the top 2 (or 3) tiers of artists will be playing aftershows although I would LOVE to see M.I.A., The Strokes and Muse play clubs in town. M.I.A. at Barbarella? Yes, please. My next bet for who WILL be playing an aftershow is: Broken Bells. Sure they played SXSW this year but I still have a feeling that we will be seeing them in aftershow status. Also, a Matt and Kim aftershow is HIGHLY likely as they are so well-received here in Austin. It's hard to see the above video but I was there that night and watching this always gives me the chills. I would put money on members of the Eagles playing secret gigs at places like Momo's or some other dad-bar but you'll have to be there already to get in...assuming you'd want to get in to hear Don Henley play a solo, acoustic set. Let me know what you think in the comments but if you are just commenting to correct spelling/grammar errors I will use your IP address to come to where you are and cut you.